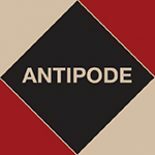 Looking forward to 2018 and Antipode’s 50th volume, we’ve got some brilliant papers coming out. We’ll get to the first and second issues below; first up there’s Issue 3, which will be out in June. As well as a powerful ten-paper symposium, “Mediterranean Movements: Mobility Struggles, Border Restructuring, and the Humanitarian Frontier” organised by Glenda Garelli, Alessandra Sciurba and Martina Tazzioli, and including contributions from Sandro Mezzadra and Toni Negri and Étienne Balibar and Nicholas De Genova, there will be essays on global commodity chains and small cocoa producers in Ecuador, social media contestations of racialised violence in Brazil, and race and class in Philadelphia’s solidarity economy. The Immigration Act 2016 has heralded an era of amplified Government intervention into day-to-day life, placing increased responsibility for border protection on UK citizens. Using interviews with representatives from the field of housing in Scotland, this paper examines one specific aspect of the Immigration Act 2016, the Right to Rent scheme. We investigate how the Right to Rent creates a precarious environment for all those who may appear to be non-UK citizens. We argue that it may endorse senses of fantasy citizenship to inculcate people into acting on behalf of the state and is a driver for further division in society. Scotland provides a particularly interesting case study, as housing is a devolved power, but immigration is not. This creates an additional layer of tension in our interview data, as housing organisations are faced with a set of conditions imposed from Westminster, infringing on a field that Scotland has self-determined for some time. Our interviews illustrate the level of confusion around the scheme, the fact that it is increasing criminalisation in the housing sector, and stresses that the scheme is offloading state responsibility for border protection. Here Joe introduces the paper, which should speak to scholars and activists alike. Housing, precarity, citizenship – what could be more timely and pressing?! With his co-authors Sharon and Kim, Joe works at the Centre for Housing Research at University of St Andrews. All three teach in the University’s School of Geography & Sustainable Development, and you can read more about their research here, here and here. The Abstraction of Care: What Work Counts? This entry was posted on 11 December 2017 by Antipode Editorial Office in Video Abstracts and tagged 21st century socialism, abstraction, agriculture, autogestion, autonomous spaces, banana industry, borders, carbon economies, care, citizenship, climate change, Colombia, community gardens, conservation finance, criminalisation, dispossession, endangered species protection, environmental justice, fantasy citizenship, food access, global commodity chains, housing, humanitarianism, immigration, Immigration Act, intergenerational inequality, Italian radical politics, mobility, national identity, natural capital, occupy, Paul Gilroy, pesticide use, post-neoliberalism, precarity, racialized violence, reparations, risk, Scotland, self-reliance, settler colonialism, social centres, social media, social reproduction, solidarity, Southern Appalachia, Southern theory, Sri Lanka, state responsibility, Tasmania, the Anthropocene, the commons, the Phillips Curve, the Right to Rent, the right to the city, the solidarity economy, the state, trade unions, urban horticulture, World Social Forum, Yangon.